Finding out that one’s child has been diagnosed with Autism can be a dramatic experience. Although the causes of Autism are largely unknown, there is a chance that it can develop during pregnancy due to the negligence of a medical professional. However, before going through an attorney in order to seek damages, it is important to know what Autism is. Autism is a condition that affects the mental, intellectual, and emotional health of the child. It is a very complex illness that affects the brain’s regular function. Cognitive development in a child with is usually delayed to varying degrees when compared to the development of a child without the illness. Children with autism may also lack playing and speaking skills, which is a result of difficulties relating to others. Those with Autism can also be easily affected by any changes in light, noise, or temperature, and sometimes even have muscle tics. Signs of autism, such as these, are usually apparent between the ages of three and four years old. Autism has a direct effect on how a child communicates non-verbally. Because of this, they often have trouble communicating with others in a social environment. Parents of children suffering from autism have said that Autistic children do not want to deviate from a regulated routine or schedule and have trouble doing so; children with Autism frequently exhibit issues dealing with change. Generally, if any changes are to be made to the routine or schedule of an autistic child, it is best to let them know ahead of time what those changes will be. This gives the Autistic child a better chance to adapt to that change more gradually. Although the causes of Autism are not definitively known, researchers and scientists have found that different factors, such as; genetics, certain allergies to food, toxins in the environment around them, and immune deficiencies, may all contribute to children developing Autism. If a child has developed Autism their parents and loved ones may consider consulting an attorney about the possibility of filing a malpractice lawsuit against an offending medical professional, if he or she is believed to have been negligent toward the child. 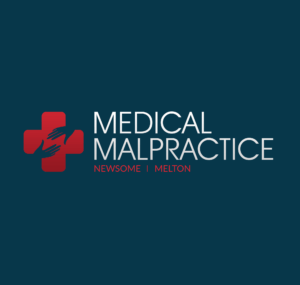 An experienced medical malpractice attorney can determine if such claims are warranted, as well as advise their client as to how to proceed with their case.